Today's new cars offer more dynamic and cool features than ever before. Best of all, you can get these awesome new features at an excellent cost. Continue reading to learn some of the newest features of vehicles available to Lakewood area residents through the Olympia Auto Mall. Cameras are no longer just for backing up. 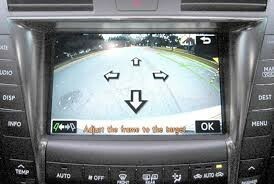 The newest vehicles out there can have cameras that cover almost every angle of the vehicle. These cameras can provide you with a full 360 degrees of coverage that will alert you if another object or person is around the vehicle. These multi-directional cameras make parking much easier and simpler to control. By using cellular technology, some new vehicles allow you to access the Internet in your vehicle. This technology turns your vehicle into a 3G or even a 4G hotspot by using a small portable router located in a hidden area of the vehicle. This hotspot router allows you and your guest to have a fast, uninterrupted signal no matter where you are. This can come in extremely handy if you are in a remote location or in a tunnel. Most parents are extremely nervous about turning their young teenage drivers loose on the road. With today's GPS technological advances, this is no longer a big deal. Most new vehicles include GPS tracking and several other parental control devices that allow parents to limit various factors, such as the speed of the vehicle and the volume of the radio. Some vehicles even sound a continuous alarm if the teen driver isn't buckled up. With these additional features, parents can feel a little easier about letting their young driver loose on the highway. For the best prices and selection of new and used vehicles near Lakewood, call or visit the Olympia Auto Mall.